One Wimpole Street is hosting a free technology masterclass for corporate and agency event organisers next month. The session – which is focused on Google analytics – aims to help event planners in technology information including tracking a website's ROI, as well as its social media influence, and production of customised tracking reports to measure traffic sources. 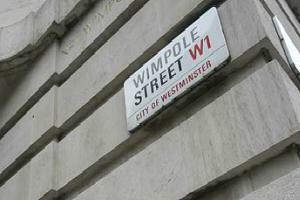 The technology masterclass will be held at One Wimpole Street, in London, from 7.45 to 9.45am on 18 October. Speakers include The Internet Specialist director Jeremy Nelson-Smith and online training consultancy Divadani's director David Miles. Nelson-Smith said: "Using web analytics effectively is absolutely critical; without it you are 'working blind' and unable to make properly informed decisions on how to improve performance over time." The session follows three previous technology masterclasses hosted at One Wimpole Street, each of which attracted around 140 events professionals.